Wide angle lenses provide a unique perspective that cannot be matched by any other type of lens. There are some great wide angle lenses for the Panasonic GH4, but which are the best for video production? Which lenses should you be shooting with? 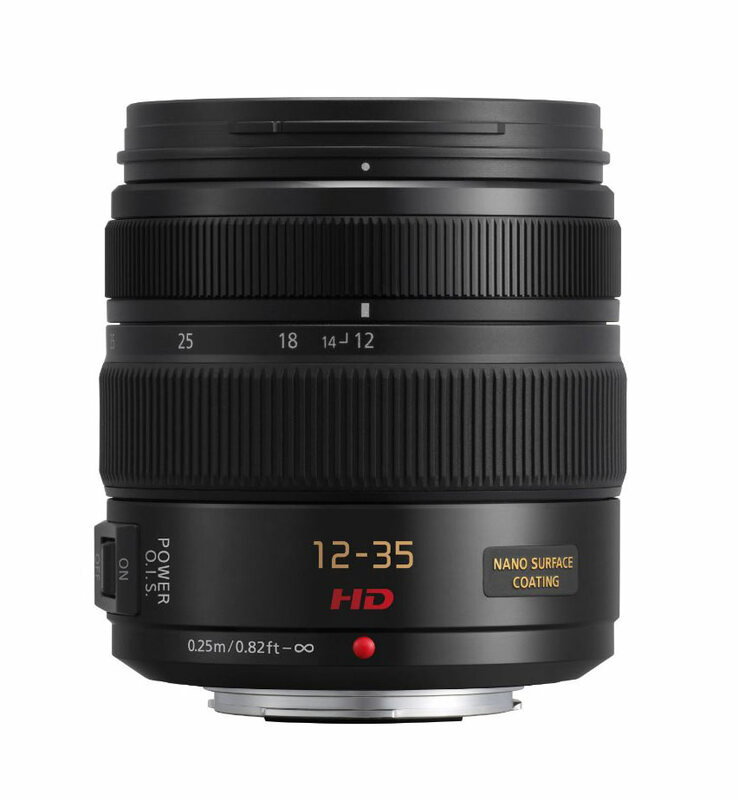 This guide will teach you about the best wide angle lenses available for the Panasonic GH4. All of the lenses in this guide are very good, but different lenses will rise to the top depending on your particular needs. As important knowing which wide angle lenses to use, it’s even more important to know when to use a wide angle lens in the first place. In some cases, a wide angle can add impact to the shot, and in others, it’s simply the most practical option. Wider lenses have a wider FOV, allowing viewers to see more of the environment. Wide angle lenses also provide a more dramatic perspective which can affect the sense of scale of different objects in the scene. A wide angle lens will show more of the ground and the surrounding environment which enhances the sense of speed as the camera moves forward or backward. This can give viewers the sense that the world is rushing by even when the camera isn’t moving very quickly at all. If space is limited, a wide angle lens will provide the wider FOV needed to get the shot. Run & gun documentaries — where you have little control over the environment. Real estate walkthroughs — where the space should look as large as possible. Small and slow camera movements are less noticeable with wide angle lenses, making it easier to maintain a stable image when shooting handheld. Rig-less shooting — A wide lens can help you get a usable shot when you don’t have a rig to stabilize the camera. Here are some factors that are important when choosing lenses for video production. How essential each factor is depends on your particular needs. Repeatable focus — If you need to hit focus marks consistently, a focus ring with linear adjustment is essential. Most native fly-by-wire lenses have variable focus adjustment, which prohibits repeatable focus. Hard stops on the focus ring are ideal. Limited focus breathing — Heavy breathing can be distracting in video, especially on fast focus pulls. In general, video/cinema-specific lenses will have very little breathing, while breathing in still photography lenses can be more noticeable. Follow Focus-compatible — If there is no gear built-in to the lens’ focus ring, then there should be enough space to install one for use with a standard follow focus. Smooth aperture control — A clickless aperture allows you subtly adjust aperture on the fly. For example, this is useful when you move from dark to bright environment in single shot. We’ll start out at with the widest rectilinear (non-fisheye) lenses for the GH4, both of which are zoom lenses that are 7mm at the widest. 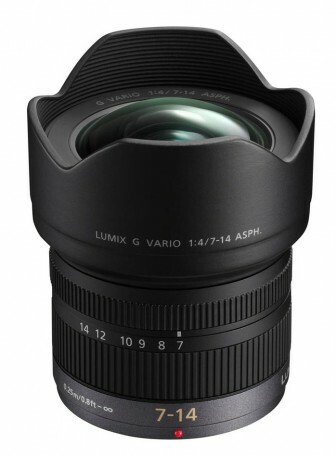 Panasonic’s 7-14mm f/4 is the widest native rectilinear lens available for the GH4. It is also a constant aperture zoom lens. This lens’ f/4 maximum aperture isn’t terribly wide, so it is not the best in low light, nor is it a great option for shallow depth of field. That said, practically everything will be in focus at 7mm anyway, so this isn’t the lens you should get if you’re looking for shallow DOF. A lens with such a wide angle is great for architecture or real estate walkthroughs. It is especially useful for shooting smooth video when paired with a handheld stabilizer (brushless gimbal, Glidecam, etc.). Bottom line: The widest native rectilinear lens you can get for the GH4. If you need to go really wide, this is your best option. When this lens is released, it will be the fastest widest rectilinear lens for the GH4. 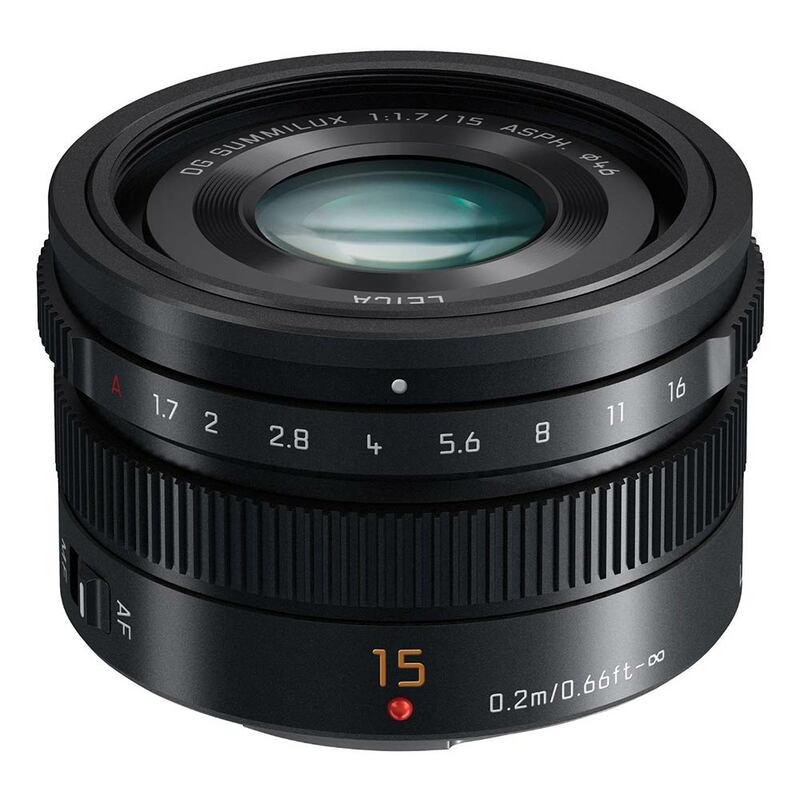 The Panasonic 7-14mm is currently the widest lens, but with a maximum aperture of f/2.8, Olympus’ constant aperture zoom will beat the Panasonic by 1 stop. 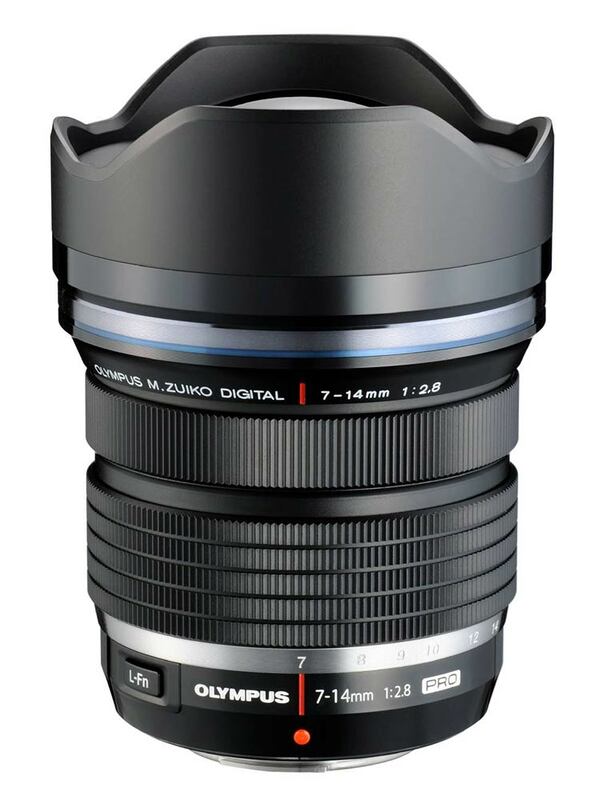 The Olympus 7-14mm shares many of the same benefits for certain shooting situations as the Panasonic 7-14mm lens. At f/2.8 there may be more possibility of a shallower depth of field, but the real benefit of this lens’ faster aperture is that it will be more usable in low-light situations. Bottom line: A fast and very wide zoom lens. The only problem is that it’s not available yet. 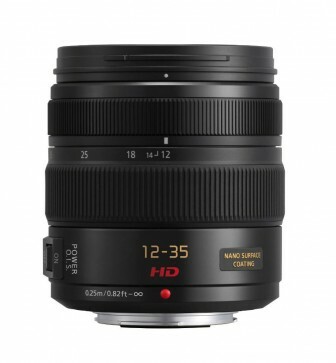 The next group of wide angle lenses all start out at 12mm. 12mm is still quite wide, but has less distortion than a super-wide lens like the 7mm lenses above. As a result, these lenses will render a more “normal” perspective, but still provide a wide FOV to work with. There’s no other way to say it– this is an awesome piece of glass. Like all of Olympus’ premium lenses, the 12mm f/2.0 is sharp wide open, meaning you can make full use of the lens’ fast aperture. The f/2.0 maximum aperture makes this a very usable low-light lens, and while it’s not a DOF Monster due to the wide angle, you can still isolate the subject from the background fairly well, even for medium shots. 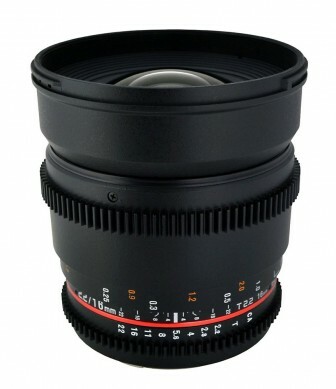 The lens also features a clutched focus ring with hard stops, allowing you to get repeatable focus. Slap on a gear and follow focus, set your marks, and go to town. Bottom line: Sharp, wide, repeatable focus. Make it so. The Rokinon Cine 12mm T2.2 is a cinevised version of Rokinon’s 12mm f/2.0 lens. As such, it shares the same maximum aperture as Olympus’ 12mm, making it one of the fastest 12mm lenses available for the GH4. It’s also nearly half the price of Olympus’ 12mm f/2.o lens, but there are several good reasons for that. First, like most Rokinon lenses, it’s a bit soft wide open. Some will consider it usable, others will not and the lens will need to be stopped down to at least T2.8 or T4 for this lens to be at its best. Secondly, while it’s not a flimsy lens, the plasticky construction of Rokinon’s 12mm does not scream quality like Olympus’ metal-wrapped premium lens. 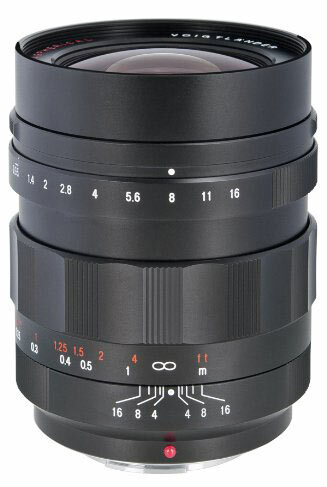 Finally, Rokinon’s lenses are manual focus only. For video production, this is a non-issue, but the lack of autofocus motor and electronic communication with the camera help to keep costs down. On the bright side, this cinevised lens features a built-in gear on the focus ring, making it quick and easy use with a follow focus. The clickless aperture is also very helpful in situations where you need to smoothly adjust exposure in a single shot. You can lower the exposure simply by the turning the dampened aperture ring on the lens. The built-in gear on the aperture ring makes it possible to adjust aperture remotely, such as when shooting with a brushless gimbal (Movi, DJI Ronin, Letus Helix, etc.) or flying it on a drone. Bottom line: Not the sharpest lens in the shed, but quite affordable and built for the cine scene. Weather sealed and wrapped in a black metal finish, this lens feels like a tank, but for a zoom lens, it’s relatively small and light. In fact, it’s one of the most balanced lenses I’ve used on the GH4. The lens also features a clutched focus ring with hard stops, allowing you to get repeatable focus with or without a follow focus. This lens’ 3.3x focal range is better than most wide zooms giving you a good amount of adjustment for a variety of shooting situations. The fast f/2.8 maximum aperture makes this a good lens in low-light situations and also provides for a decently shallow DOF, especially when zoomed in to 40mm. Bottom line: Versatile focal range, built like a tank, and perfectly balanced on the GH4. Panasonic’s 12-35mm f/2.8 constant aperture zoom lens is the workhorse of run & gun shooters everywhere. Thanks to its built-in image stabilization, you can even shoot usable footage without a rig. While it is a constant aperture lens, this lens does exhibit flickering when zooming, but since it’s not parfocal anyway, this isn’t a deal-breaker for most (since focus won’t be maintained zooming). Bottom line: A workhorse zoom lens, especially if image stabilization is a priority. 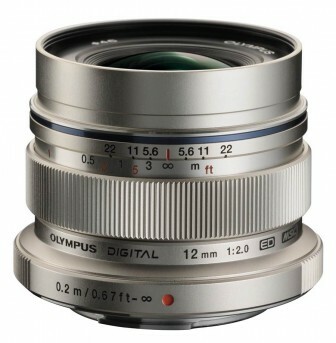 There are obvious similarities between the Olympus 12-40mm f/2.8 and the Panasonic 12-35mm f/2.8 lenses. Both have a maximum f/2.8 aperture, both are constant aperture zooms, both go as wide as 12mm, and both have about a 3x focal range. 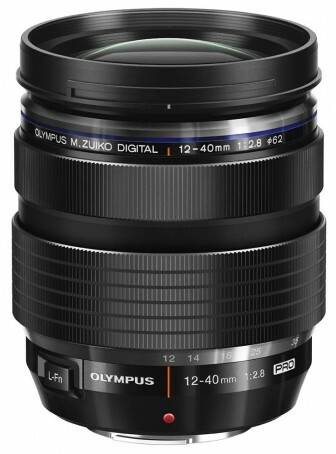 Olympus — repeatable focus, better build quality, slightly longer reach (40mm vs 35mm). I recommend using a rig– even if just a minimal rig— whenever you’re shooting video. Having that additional support makes a big difference in comfort when shooting for more than just a few minutes at a time. With a rig, Olympus’ lack of image stabilization is a non-issue. Repeatable focus is essential for narrative production, which makes Olympus’ lens more versatile for different types of production. Finally, frequent sales on Olympus lenses make it possible to get the Oly’s 12-40mm for $100-200 less than Panasonic’s zoom. 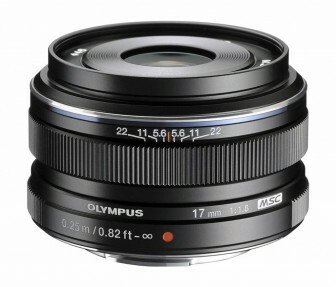 For these reasons, I recommend the Olympus 12-40mm over the Panasonic 12-35mm unless you really need to shoot rig-less. Like other Panasonic lenses that bear the Leica name, this lens is a solid performer. Sharp wide open and a fast f/1.7 maximum aperture make this a great low light lens. This lens has a manual aperture ring, but it’s not clickless, making it less useful for video production. The focus ring is relatively close to the camera body, so you’ll need a follow focus with a reversible gear to use it with this lens. Bottom line: Sharp and fast wide angle lens, but its small size is something to consider if intending to use with a follow focus. 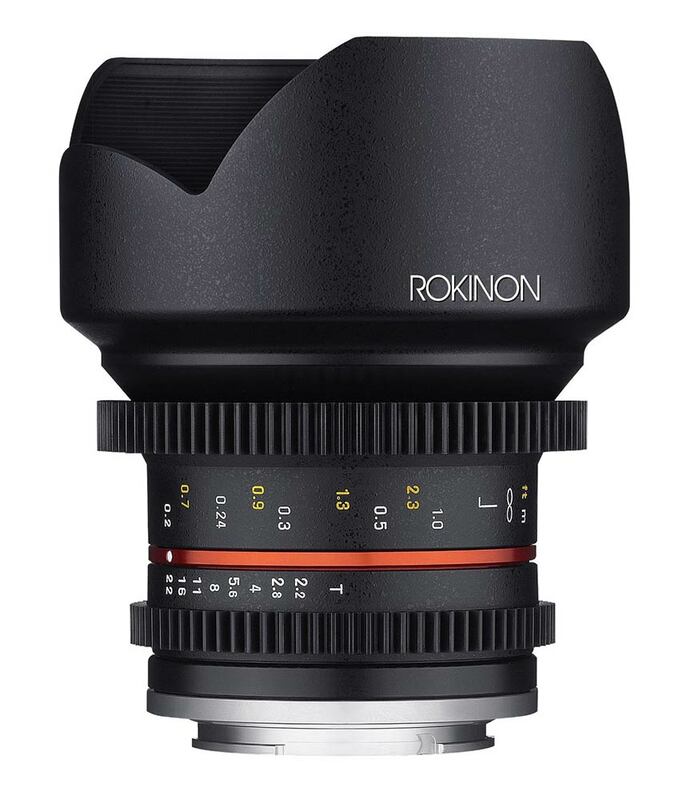 The Rokinon Cine 16mm T2.2 is a cinevised version of Rokinon’s 16mm f/2.0 lens, making it a fairly fast wide angle lens enhanced for video production. The mostly-plastic construction of Rokinon’s 16mm prime does not scream quality, but it doesn’t feel fragile either. The focus ring features hard stops, allowing for repeatable focus. Though the focus ring does have a built in gear for using with a follow focus, keep in mind that there are not a lot of distance markings on the lens, making it less helpful for the focus puller. One of the best things about this lens is that it can be used with the Metabones Speed Booster for increased versatility. When used with a normal adapter it is a 16mm T2.2 lens and when used with the Speed Booster, it has the FOV of a 12mm lens and light transmission of T1.6. This basically gives you 2 lenses in one. Since it matches the FOV of Rokinon’s 12mm, you could get this lens and the Speed Booster and fill two different focal lengths with just one lens. 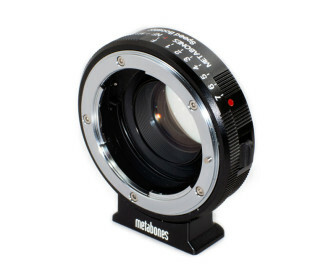 Bottom line: An affordable, fast, and versatile prime lens especially when paired with the Metabones Speed Booster. Ideal for narrative production. 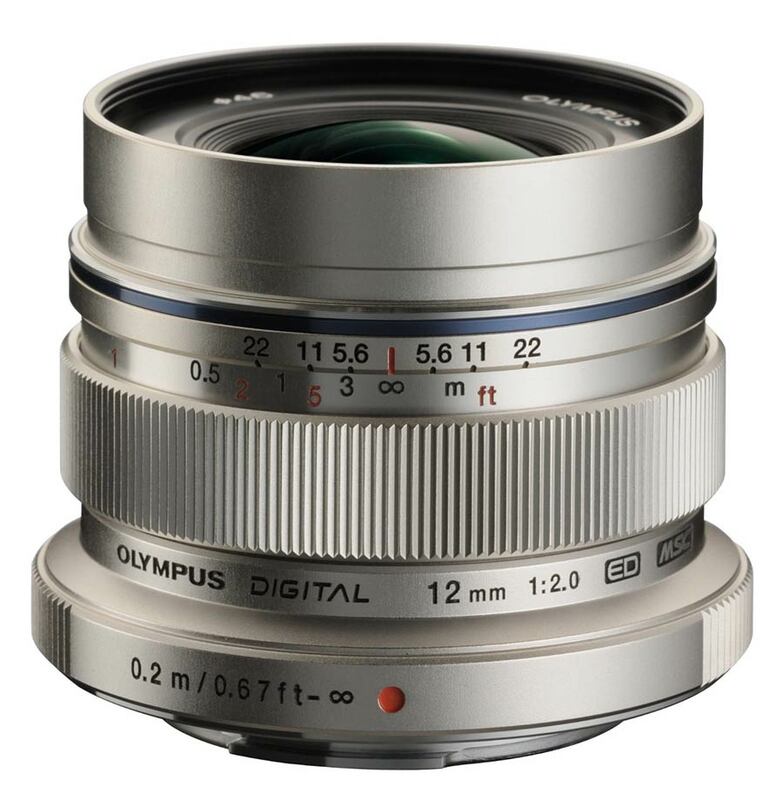 Like Olympus’ aforementioned 12mm and 12-40mm lenses, the 17mm f/1.8 lens also features a clutched focus ring with hard stops, allowing for repeatable focus. Also like Olympus’ other premium lenses, this lens is also sharp and usable wide open. Bottom line: If you need a 17mm lens with repeatable focus and autofocus, this is your jam. Though it is soft wide open, the f/0.95 maximum aperture makes this a great low-light lens when you need it. Stop it down to f/1.4, and sharpness increases dramatically. A smooth manual focus ring with hard stops allows for repeatable focus. For even more control, you can attach a focus gear to this lens to use it with a follow focus. Bottom line: This lens can see in the dark better than you can. This lens’ maximum f/1.8 aperture makes it a great low-light lens and delivers a nicely shallow DOF (especially at 35mm). It’s also a constant aperture zoom lens so you get the same fast aperture at any focal length. In addition, it’s sharp wide open. Very nice. As a zoom lens, it is a bit limited with only a 2x focal range. 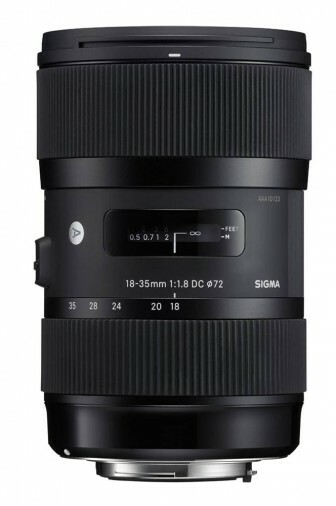 However, Sigma smartly covers several common focal lengths with this lens (e.g. 20mm, 25mm, 28mm, 35mm, etc.). As with other non-native lenses, you can use a Metabones Speed Booster for increased FOV versatility. When mounted on the Speed Booster, this 18-35 f/1.8 lens matches the FOV of a 13-25mm lens with f/1.2 brightness, making it even better for low light and shallow DOF. Make no mistake though, this lens is big and heavy. More accurately, it is a beast. That said, this lens focuses and zooms internally so at least it doesn’t get any larger that it already is. For the sake of comparison, Sigma’s 18-35mm is only slightly larger and heavier than Rokinon’s Cine 35mm T1.5, but you have more versatility with focal range and a sharper image at f/1.8 with Sigma’s lens. Manual focus is linear, but the focus ring does not have hard stops. This means you need to use a follow focus with hard stops in order to calibrate the focus ring for repeatable focus. Bottom line: It’s a fast and sharp constant aperture zoom lens. It’s quite big though, especially compared to the GH4. There is no shortage of awesome wide angle lenses for the GH4. The hard part is deciding what lens is best for your needs. As previously mentioned, different situations call for different lens features. A run & gun shooter may live or die by image stabilization, while a narrative filmmaker wouldn’t even touch a lens that doesn’t provide repeatable focus. I’ll be focusing on lenses for different production environments in future posts, so let me know which situation you’re most interested in hearing about or request a free consult below for a custom recommendation for your particular needs. Fotodiox Compact Rig Review — An affordable minimal rig that adds comfort and stability when shooting video. Metabones Speed Booster — Increase the FOV and brightness of your lenses with this specialized adapter for the GH4. Panasonic GH4 — Small, compact, and powerful 4K camera that fits in the palm of your hand.